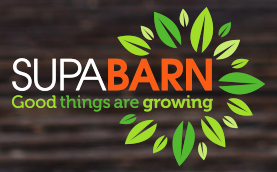 Last Friday the ACCC released a Statement of Issues regarding the Coles buyout of Supabarn. The bottom line is that the ACCC has some concern over the sale of several stores (including Crace), and more concern over the sale of other stores. They are asking for feedback to help make up their mind on some stores, including Crace. The ACCC does not believe it is likely that the sale of the Five Dock (NSW) supermarket will lead to a lessening of competition. the market for takeaway liquor retailing in NSW or ACT (except as listed above)markets for the wholesale supply of supermarket and liquor products, in NSW and the ACT. If you would like to provide your feedback, please complete our short survey. Results will be talleyed and submitted to the ACCC by 1st October 2015. After that, the ACCC intends to announce its final view by 26th November 2015. We will keep you posted. Please note that the Crace Community Association does not have a view on this proposed acquisition, and is conducting this survey purely to give the community a consolidated voice.